By Karrar Haider in Mobile. Updated on January 11, 2018 . Recently, I had to move my Android phone’s contacts to my PC to use them in some desktop apps. To my surprise, there is no one-click method to do this. A search on Google just shows some apps that can do this for me for a fee, now why would I pay for such a basic task? 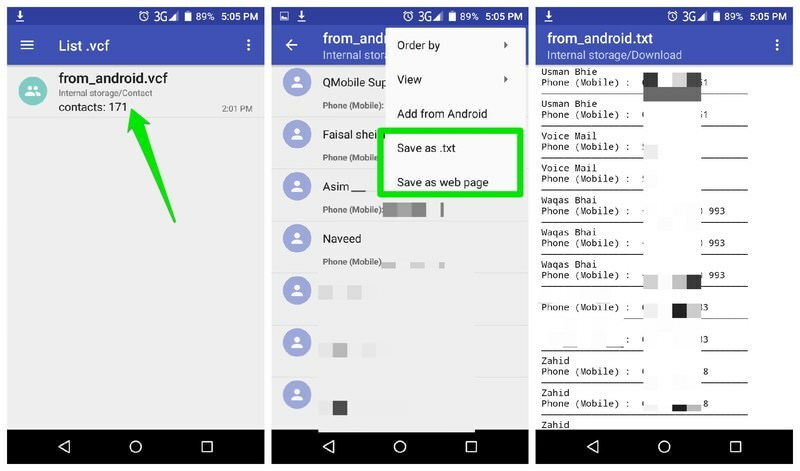 After loads of tinkering, I managed to find two not so complicating methods that allow you to transfer Android phone contacts to your PC in different formats for free. If you are also looking to transfer contacts from Android to your PC, then check out the below two methods. You can move all your contacts to Google Contacts and download them to your PC from there. Although, you don’t have to go through the moving process if you already save your contacts to Google Contacts. Open the Contacts app on your phone and tap on the main menu button at the top-right corner. Select Import/Export option here. Now select the location where all your contacts are saved and tap on Next. Afterward, select your Google account and tap on Next again. This will copy all your contacts to your Google account. You can repeat the process in case you have contacts saved in both phone and SIM memory. Now open Google Contacts web interface on your PC and you will see all your contacts listed. Here click on More button at the top and select Export option. The new preview version of Google Contacts doesn’t support the Export feature, so I am demonstrating on the old version of Google Contacts. 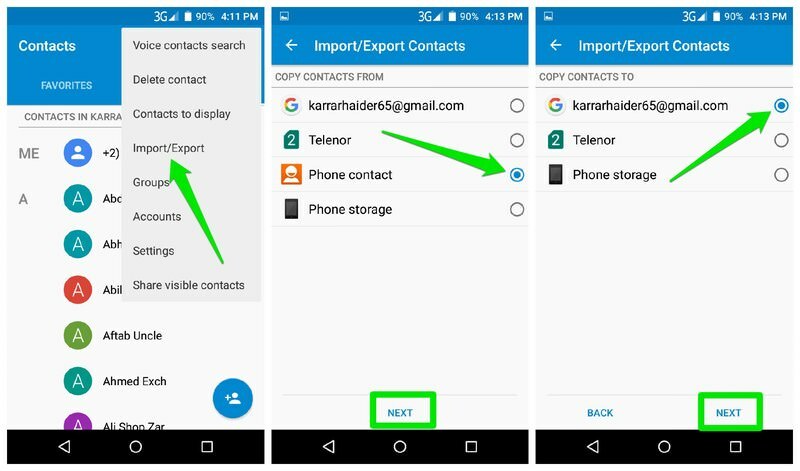 In case the export feature doesn’t work for you as well, click on the Go to the old version button at the bottom-left corner to access the older version of Google contacts. Two sections will open up. In the first section, select The Groups and My Contacts. And in the second section, select the download file format. The options include CSV format for Google and Outlook, and the widely accepted vCard format. Make your choice and click on Export to download the contacts on your PC. If you don’t want to move your personal contacts to your Google account or need a more human readable format, then there is an alternative method as well. You can convert your contacts to a movable format, such as vCard or .txt format and move it to your PC. To do this, I am going to use the app Contacts VCF. Simply install and launch the app and it will automatically save all your contacts in your phone’s internal storage in vCard format. Select the .vcf file in the app and tap on the main menu at the top-right corner. From the menu, you can either select Save as .txt or Save as web page to save it in the respective format. To move the file to your PC, you can connect your phone to the PC using a data cable and copy/paste the file. Alternatively, you can send it to yourself via email and then download on your PC. The first method worked fine for me as most of my data is already synced to my Google account, and having access to my contacts from anywhere is always a plus. Although if you need to print out your contacts or need a more human readable format, then using Contacts VCF app is a much better option.